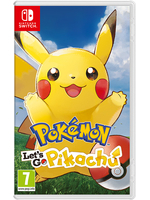 Available since November 16 on Nintendo Switch, Pokémon : Let's Go, Pikachu and Pokémon : Let's Go, Eevee will take you to visit the Kanto region with Pikachu or Eevee depending on your version of the game. Here is a video presenting the first 20 minutes of the game with Pikachu. i'm going to buy a switch just for those pika cuddles. The game looks really nice, though I feel like it should have voice for the main characters and important NPCs, like the professor. Also, some of the animations - and lack of them for certain things - gives the impression that the game didn't have an appropriate big budget. I know that's not the case, but some things should be much better in a 2018 game, from one of the most rich and well funded game developers in the world. If not on a technical level, at least on a art level like animations, UI, etc. Though it's a game aimed mostly at children, so it's not that much of a big deal. I just hope they put a lot more effort on the harcore Pokémon game to be released next year. Still, the game is selling extremely well on the Switch, extremely well. 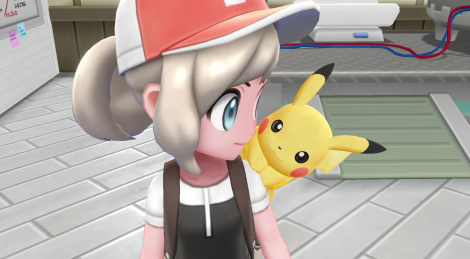 Which is easy to see in those tender/warm moments with Pikachu, which really brought me back to the early Pokémon games and anime days. There's just an inherent and undeniable charm and charisma to Pokémon that is just hard to resist. A really great Christmas present for everyone, specially the little ones.